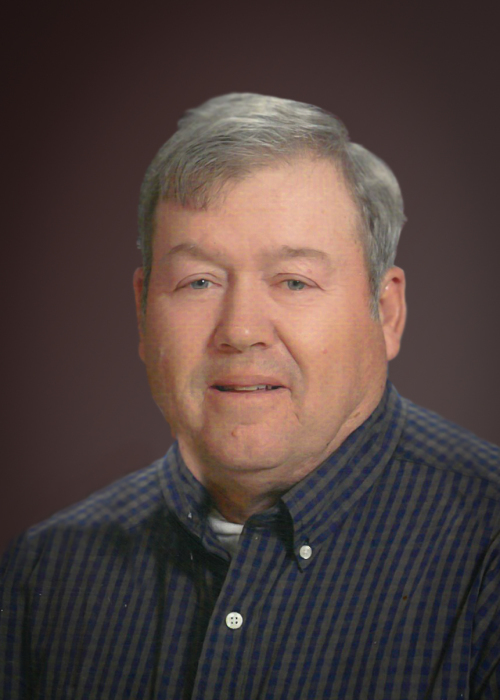 Obituary for Chief Master Sergeant John Raymond Clark | Myers Funeral Home, Inc.
Chief Master Sergeant John Raymond Clark, 72, of Martinsburg, passed away on Saturday, February 2, 2019 at his home, on the Dryden Family Farm in rural Martinsburg, Missouri. Mr. Clark was born November 15, 1946 in Mexico, Missouri, a son of Norman Richard and Mina Geradine (Dryden) Clark. He was a 1964 graduate of Mexico High School. On November 29, 1969 at the Methodist Church in Mexico, Missouri, he married Marjorie Lee Kolling. They shared over 49 years of marriage together and were the parents of two children. John and Margie have lived on the Dryden Family Farm since 1970. John served his country in the United States Air Force, with a rank of Chief Master Sergeant (E-9). John joined the military when he was 17, in which he had to have his mother’s signature to enlist, entering on November 4, 1964. After completing basic training at Lackland AFB, San Antonio, Texas, he next attended Avionics specialist technical training at Keesler AFB, Boloxi Mississippi. Upon successful completion of technical training he received his first duty assignment to Peterson Field, Colorado in 1966 with the Air Defense Command. He next moved to Key West NAS, Florida with another unit of the Air Defense Command. In 1967 he volunteered for Aircrew Combat duty in Vietnam. He did his Aircrew training at Otis AFB, Massachusetts and deployed to combat with the 553rd Recon Wing equipped with EC-121R aircraft at Korat AFB, Thailand a unit of Pacific Air Forces. In his year at Korat he flew over 90 missions in the EC-121R aircraft of which well over 60 were considered combat missions in support of the Top Secret “Igloo White” program of Defense Secretary Robert McNamara flying intercepts along the Ho Chi Minh trail as were first publicly described in Ken Burns 2017 PBS series “The Vietnam War”. He left the active duty Air Force on November 3, 1968 and after a brief period joined the Air Force Reserve Unit at Richards-Gebaur AFB, Missouri with the 442nd Airlift Wing, Military Airlift Command / Tactical Air Command loyally servicing there until the Air Base closed. 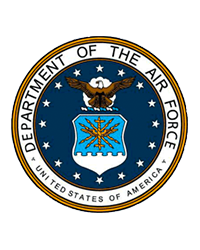 He then joined the Reserve unit at Scott AFB, Illinois and served with the 23rd Air Force and Air Force Special Operations Command at both Scott AFB, Illinois and Hurlbert Field, Florida. Specializing in Command and Control of Rescue and Recovery units both Helicopter and fixed wing aircraft across the USAF, Civil Air Patrol and local Law Enforcement. Retiring after 29 years 4 months service with the rank of Chief Master Sergeant (E-9), the highest enlisted grade in the USAF. His awards and decorations include three Vietnam service medals, the Air Medal with Oak leaf clusters, The Department of Defense Meritorious Service medal, as well as several Air Force and Air Force Reserve awards and decorations. He was a farmer, raising livestock as well as row crops, from 1968 until the present time. John farmed for many years with Johnny Mitchell and later with his son, Dennis. John was a member of the Mexico Methodist Church. He was a grandpa to five granddaughters. John loved watching them play softball, basketball or anything they were doing. He was a wonderful mechanic. John loved his farm with a passion. John is survived by his wife, Marjorie Lee “Margie” Clark, of the home in Martinsburg; son and daughter-in-law, Dennis Edward and Julie Dawn Clark, of Martinsburg; daughter and son-in-law, Leslie Ruth and Jared Windmann, of Laddonia; five granddaughters, Taren Renee Clark, of Martinsburg, Delanie Rose Windmann and Erica Grace Windmann, of Laddonia, Shelby Elaine Clark, of Martinsburg and Baylie Ilene Windmann, of Laddonia; mother-in-law, Vera Kolling, of Martinsburg and brother, Edward Newton Clark, of Goldsboro, North Carolina. He was preceded in death by his parents; sister, Connie Sue Clark and father-in-law, Dennis Kolling. Visitation was held from 4:00 – 7:00 p.m., Wednesday, February 6, 2019 at the Myers Funeral Home in Wellsville. Funeral services were at 10:00 a.m., Thursday, February 7, 2019 at Martinsburg Community Church in Martinsburg. Rev. Justin Keith officiated. Serving as organist was Lisa Brandt. Burial was in Liberty Cemetery in rural Martinsburg, where he could still keep a watch over the family farm. Serving as pallbearers were Pat Arens, Tom Arens, Larry Bax, Bob Dryden, Mike Kolling and Bob Reagan. Honorary pallbearers were Derek Bohr, Dustin Bohr, Jeff Hunn and Johnny Mitchell. Full Military Honors were provided by Martinsburg American Legion Post 552. Missouri Military Funeral Honors “Air Force” folded and presented the United States Flag to his wife, Margie. Memorial contributions were suggested to Community R-VI Booster Club “Girls Basketball Program” c/o Myers Funeral Home, 203 East Bates Street, Wellsville, MO 63384.